Vibration therapy is a new technology in fitness, sport and rehabiliation. It is a special platform, which creates vibrations throughout the body, causing muscles to contract 30-60 times per second. Vibration therapy is a muscle training which supports sporting, which is done on a special vibrating platform. 10 min of vibration therapy = 60 min of gym workout! The contractions caused by the vibrations give the muscles a load similar to physical workout. Vibration therapy supports sporting by helping stabilise heart activity, strength workout and speed workout. You may simply stand on the platform and have the preset programs do the workout for you, or do exercises for a certain group of muscles: arms , breast muscles, back, thighs and legs. Great for alleviating back pain. You'll get the best results by starting out with 10 minutes on 5-10 consecutive days. then 2-3 times per week as needed. Many associate vibration therapy with better well-being, good mood and added energy. 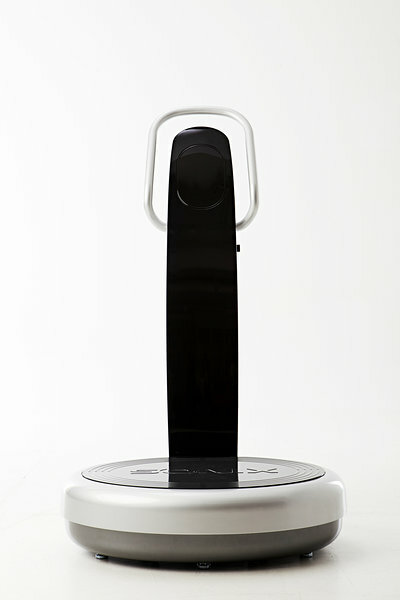 You can rent our Sonic Life vibration therapy to your premises. The price depends on the duration and the minimum is 1 month.